In July this year, Sri Lanka made one of the most progressive steps in its trade history when it launched the Sri Lanka Trade Information Portal (SLTIP). An initiative by the Department of Commerce, in collaboration with the World Bank, it sought to create a “one-stop point for information relating to import into and export from Sri Lanka”. However, the initiative, while widely lauded, recently came in for some stern but constructive criticism at last week’s Sri Lanka Economic Summit where a leading researcher pointed out that the “Government is set to fail” if a host of structural issues go unchecked. 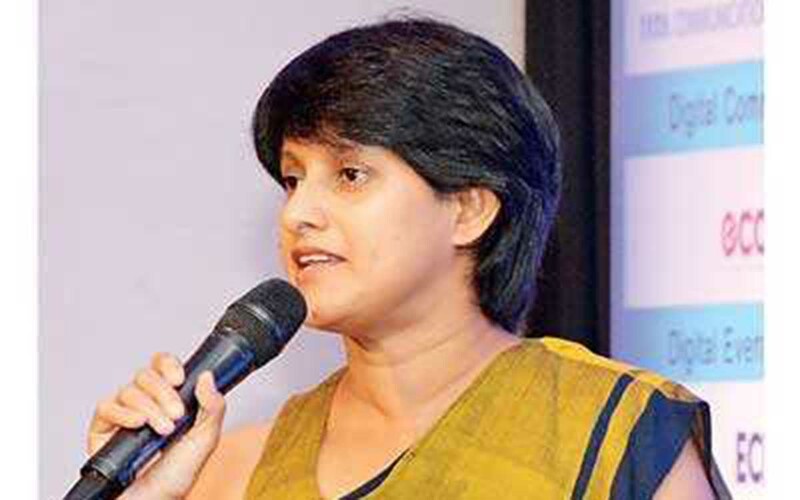 Addressing a panel discussion aimed at improving the effectiveness of trade and investment reforms, Verité Research’s Research Director Subhashini Abeysinghe highlighted several pertinent points with regard to how and where the SLTIP is currently failing in its objectives. “To do business, you need to know regulations, procedures, processes, and fees, and if you’re doing international business, you encounter 30-odd different institutions that have some say about your export and import. And also these 30 institutions have some 100-odd regulations which the traders have to comply with,” she noted, setting the context for the urgent need for a functioning SLTIP. However, according to Abeysinghe, there is a significant gap between what the Government is trying to do at national level and the ground realities of the situation. The crux of this issue is centred on information, more specifically, on the difficulties that surround the process of procuring information. As she astutely points out, while an easily accessible information platform is a much-needed step, the viability of such an initiative is contingent on all the relevant information being actually available on the platform – something that is not presently the case. “To make information available online, you must first have documented information. What we’ve encountered in our research is that there are many regulations where procedures are not documented. And the documents traders have to submit to get compliance, recommendation letters, and approval are not documented. One of the main reasons for this, according to Abeysinghe, is the present state of bureaucracy, where the Government has no incentive or reason to make some of the necessary information available. Meanwhile, a third and fairly critical problem lies in the State’s use of statistical data. For a burgeoning business or entrepreneur, up-to-date statistical data is critical in terms of accurate decision-making. While Government agencies don’t traditionally collect this sort of data, on the few occasions they do, it’s funded through tax payer money. However, as Abeysinghe explains, this data, though surveyed and collected at cost to the taxpayer, generally just “sits in a computer at one Government agency”. This particular quagmire is brought into even sharper contrast when one takes a glance towards Sri Lanka’s larger neighbours. “Do you know that you actually have to pay Rs. 20,000 to Sri Lanka Customs to get export and import statistics of Sri Lanka? Do you know much it is for India though? We’re talking about $ 30 billion of trade in Sri Lanka, and in India, it’s about $ 500 billion or 600 billion. While the lack of statistical data and the need for information are key sticking points in terms of SLTIP, they are just the tip of the iceberg, so to speak. According to Abeysinghe, the most pressing issue lies in the fact that the principal language in which online information is made available – even by the Government–is English. With census data revealing that only 30% of Sri Lankans are able read and write a single English paragraph – that too with a heavy Western Province bias – this oversight takes on rather substantial proportions.“The Sri Lanka Customs website is entirely in English, Sri Lanka Export Development website is mostly in English, and in any Government website, even if there is availability of all three languages, the content available in Sinhala is about five to six times less than the content available in English. “One reason you’re taking information online is to avoid businessmen from Jaffna, Trincomalee and Hambantota, from having to come to Colombo just to find out how to get approval, and what application forms to submit.